B2B marketers have effectively used Search Engine Optimization to help potential customers find their businesses through search engines like Google, Bing, and Yahoo. But according to Google and Bing, they now consider social signals from social sites such as Facebook, Twitter and LinkedIn in their organic search algorithms. Your Facebook presence can boost how relevant your business is to search engines and can significantly influence your SEO success. With Google and Bing now crawling and indexing Facebook pages, a search engine optimized Facebook page is more likely to come up in search engine results pages. The success of a website is not simply determined by how sophisticated or visually attractive it is. Instead, it’s how effectively you can engage your target audience and positively convert them into clients. Below are a few reminders that can help turn your website into your persuasive sales tool. Whatever business you own, you always have a lot of competitors – and that’s a fact. The only way you can capture your target prospects and make them choose you is by having value propositions that stand out from the competition. Creating effective value propositions has always been a challenge to marketers. Basically, value propositions or positioning statements explain why your prospect should buy from you instead of a competitor. However, there are more things to consider when writing a value proposition. Respect Your Reader. Don’t waste his time and attention. Get to the point quickly, instead of burying the value under a mountain of greetings and headers and photos. Design with a Goal in Mind. Know why you’re sending the email and what result you want to achieve. Make it easy for your viewer to do what you want. The design should enable the desired behavior. Make it relevant and interesting to the viewer. Esteemed Consulting dedicates this day to give thanks for all the blessings we received this year. We are all thankful for a bountiful year for the Esteemed team, our families, friends, clients, colleagues and all whom we have worked with. We are delighted to serve you this year, for part of the year or all. Democracy is a God-given bounty and we take pride in our fellow Americans who demonstrate bravery and loyalty to our Country and what we stand for. As they continue to battle and sometimes lay their lives to preserve our rights, we are grateful for these men and women whose lives will continue to inspire us and more generations to come. Esteemed Consulting wishes you all a wonderful Thanksgiving weekend. Enjoy being surrounded by the ones you love. An email marketing calendar is a useful tool that can help keep your focused on your marketing goals and priorities. It functions much like an editorial calendar used by magazines. Your calendar will depend on the complexity of your product offerings as well as target markets. As reported in the 2011 MarketingSherpa Email Marketing Benchmark Survey, one-fifth of marketers send emails late without clear purpose. Using an email marketing calendar will help you stay on schedule, gain trust, communicate effectively and increase campaign ROI. Be relevant to the target audience by sharing information they want to know about. 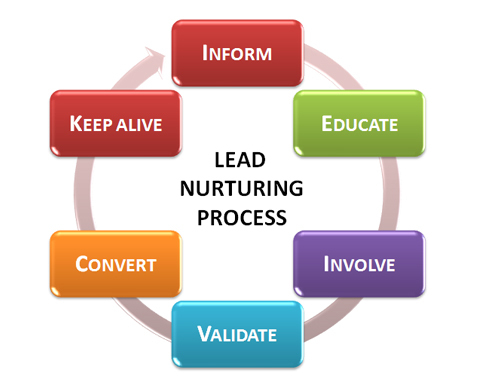 Lead Nurturing provides highly relevant educational content to prospective buyers early in the buying process. Nurturing can build brand and product preference long before prospects are ready to buy. There is more competition for your prospects attention than ever before. Information is hitting most of us faster than we can absorb or process it. Today’s marketers are working hard to develop relevant email content that interests their prospects. They are taking the time to refine and simplify their messages to rise above the noise. In 2011, the typical corporate email user sends and receives about 105 email messages per day. Despite spam filters, roughly 19% of email messages that are delivered to a corporate email user’s inbox are spam. This includes what is referred to as “graymail” (i.e. unwanted newsletters or notifications).